What is all the fuss about over the air fryer? Let me tell you! The air fryer is by far one of the easiest and most useful kitchen gadgets you will ever purchase. It’s like a small, portable convection oven that fries your favorite foods, but in a healthier way. So, what is the secret? The air fryer gives you that crispness using little to no oil. And the best part – you can make just about anything in the air fryer – including dessert! This is the air fryer I use, and I love it. It is the perfect size, easy to store and easy to clean. It has digital controls, including 7 preset cook modes. This is the perfect tool for when you need meals fast, preparing your food up to 30% faster than the oven. I have compiled a list of our 21 favorite air fryer recipes that you need to try! They are quick, easy and picky-eater approved. 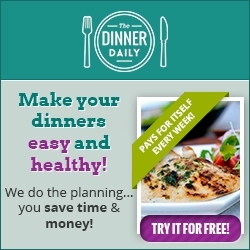 For more quick and healthy recipes, click here. You are sure to love everything the air fryer has to offer! Happy frying!